White House press secretary Sarah Sanders said Tuesday that she could not offer a "guarantee" that the president has never been recorded using the N-word. "I can't guarantee anything," Sanders said when asked to rule out that such a recording exists. "I can tell you the president addressed this question directly. I can tell you I have never heard it. I can tell you if myself or the people in this building serving this country every single day doing our very best to help people all across this country and make it better, if at any point we felt that the president was who some of his critics claim him to be, we certainly wouldn't be here." Sanders also disputed that there’s a pattern of the president insulting African-Americans, casting the president as an "equal opportunity" attacker. "This has absolutely nothing to do with race and everything to do with the president calling out someone's lack of integrity... the fact is the president's an equal opportunity person that calls things like he sees it. He always fights fire with fire and he doesn't hold back," she said as she defended the president for "voicing his frustration" with Omarosa Manigault Newman. Earlier in the day, Trump fired off an incendiary tweet at his former aide who has written in her new book, "Unhinged," that a tape exists of Trump using the N-word from his days on "The Apprentice." Asked by ABC News' Jonathan Karl during the press briefing why the president would hire someone who he now describes in such terms and whether his language is appropriate, Sanders defended the president for "voicing his frustration" and described his decision to hire her as generous. "The president wanted to give her a chance," Sanders told Karl. "And he made clear when General Kelly came on and he voiced concerns that this individual didn't have the best interests of the White House and the president and the country at heart, the president said do what you can to get along. If you can't, he gave him full authority to carry out the decision to let her go." 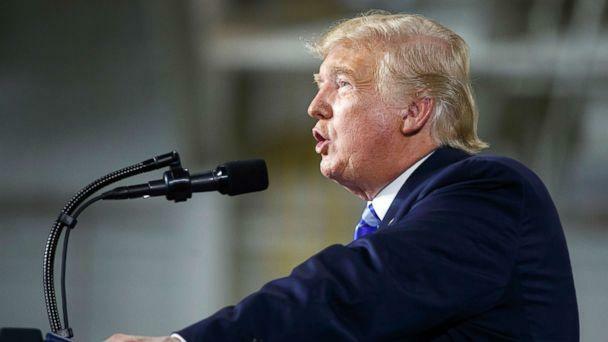 The president's tweet came after he denied claims of racism made late Monday by Manigault Newman. Appearing on MSNBC Tuesday, Manigault Newman responded to Trump's name-calling. "If he says that publicly, what would he say privately? He has no respect of women and African-American women and having the chief of staff lock me up for two and a half hours to harass me and tell me that things can be ugly for me and there is damage for my reputation. He is unfit to be in this office and to be serving as the president of the United States." 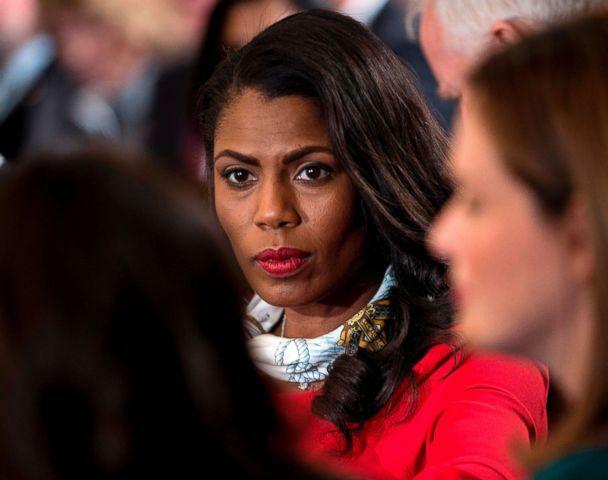 Describing a clip she provided to CBS, Manigault Newman said on CBS "This Morning" that the call contradicted denials recently issued by former Trump campaign spokesperson Katrina Pierson and former campaign aide Lynne Patton, who in their most recent statements disputed Manigault Newman's previous descriptions of the call. In the audio, Pierson can be heard saying she wanted more info on how the word might have been used so they could "maybe try to figure a way to spin it." Patton then recalled how she personally asked the president about the existence of the audio and said Trump denied it, though Patton added that Trump still asked, "Why don’t you just go ahead and put it to bed?" Soon after in the conversation, Pierson can be heard saying, "He said it [the N-word]. No, he said it. He’s embarrassed." But the joint statement does not directly address the portion of the recording where Pierson is heard saying the president "said it" and was "embarrassed." Trump has spent much of the past two days attacking the former "Apprentice" star after Manigault Newman leaked a recording of her firing by Chief of Staff John Kelly on NBC's "Meet the Press" Sunday. Trump said Monday he spoke to "Apprentice" producer Mark Burnett, and claimed Burnett said no tapes exist of Trump using "that word." "I don't have that word in my vocabulary and never have. She made it up," Trump tweeted. There was some confusion over whether Manigault Newman had actually heard him use the word on tape or whether someone made the claim to her. She attempted to clear up that discrepancy -- in her book she says she didn't hear it herself -- when she said she heard him use the N-word after the book had gone to press. "It was my job to tell the president every rumor, innuendo, fact, fiction," Conway said. Trump, after calling her a "low-life" a day earlier, referred to Manigault Newman as "deranged" in Monday's tweets. Manigault Newman released audio of her conversation with Kelly Sunday and then followed that up by releasing a conversation with Trump himself on Monday's "Today" show. She played just a brief clip -- not independently verified by NBC -- in which the president seemed surprised by her exit and said he was not responsible. It's unclear whether Manigault Newman recorded any other conversations during her time at the White House when she was the most senior African-American in the West Wing. Trump has been accused of racist behavior many times over the past two years since he took office. He has been accused of racial insensitivity in everything from his criticism of NFL players' protests to LeBron James' intelligence and his statement that there were "very fine people on both sides" at the Charlottesville riots in August 2017. Two days ago, Rep. Elijah Cummings, D-Md., told ABC News' "This Week" that the president's words on racism "ring hollow." "He has not gone far enough," Cummings said. "I think it's a low bar for the president of the United States to simply say he's against racism. He's got to do better than that." Trump counselor Conway appeared on the same show Sunday and said she wouldn't be working for Trump if he were racist. "I have never a single time heard him use a racial slur about anyone,” Conway said. “I also never heard Omarosa complain that he had done that, and so the only thing that's changed is that she's now selling books."